Well, I’m back from Münster and the Beat Presser “Kinski” photography exhibition at the lovely Westpreußisches Landesmuseum. Beat Presser was kind enough to do an interview with Du dumme Sau! after the Kinski Abend so I’ll write that up and publish it shortly. In the meantime here is a little update with a few bits and pieces. The title of the article refers to the photograph on the cover of Beat Presser’s Arte Edition Kinski book (above), which I bought and got signed at the exhibition. I asked Beat Presser what Klaus was doing in the photograph and he said, “He was building a pizza oven”, which tickled me more than somewhat. I still don’t know if I believe Beat Presser, but he swore it was true! And remember that there is one more Kinski-Abend on 8 September and the exhibition runs until 3 October 2011. There wasn’t a lot on Kinski available in Amsterdam, so that was a little disappointing, but I did take a couple of shots of the Hotel Doelen, which featured in the film Lifespan (see my review of the film here: https://dudummesau.com/2011/02/09/klaus-kinski-makes-the-bed/). I’ll publish those when I get my films processed later this week. I wanted to stay at the Doelen, of course, but my boyfriend booked us into the Eden American hotel instead; Beat Presser misheard us when we told him where we were staying and thought we were going to some strange cannibal hotel called the Eat An American. Luckily we all saw the funny side, as they say! What else? Well, there’s been a Klaus related artwork forming part of the Jerwood Makers Open exhibition, which is at the Jerwood Space in London until 28 August 2011. The artist Keith Harrison created his work based on a scene in the film Fitzcarraldo where Brian Sweeney Fitzgerald (Klaus Kinski) journeys up the Pachitea river in a steamer playing Caruso opera records. The piece, essentially a huge dub reggae soundsystem, plays music from Fitzcarraldo on ceramic records. The artist says the work was inspired by listening to the Jah Shaka sound system at St George’s Hall in Exeter in 1994. Go and see the Float whilst you can. It’s free entrance and the gallery is open 7 days a week, see http://www.jerwoodspace.co.uk/gal_whatson.html for more details. The link takes you to the Spiegel Shop site where there are details of a new Klaus Kinski book from Peter Geyer and the art director O A Krimmel, Vermächtnis, which will be available some time in September and costs about 50 Euros. Aside from being incredibly stylish and having a stunning cover, this book is a must-have for all Kinski fans as it includes unpublished autobiographical texts, stories, letters, photographs, and drawings and other previously unavailable items. Make sure you watch the short embedded film which you can find towards the top of the page – it’s beautiful. Du dumme Sau! 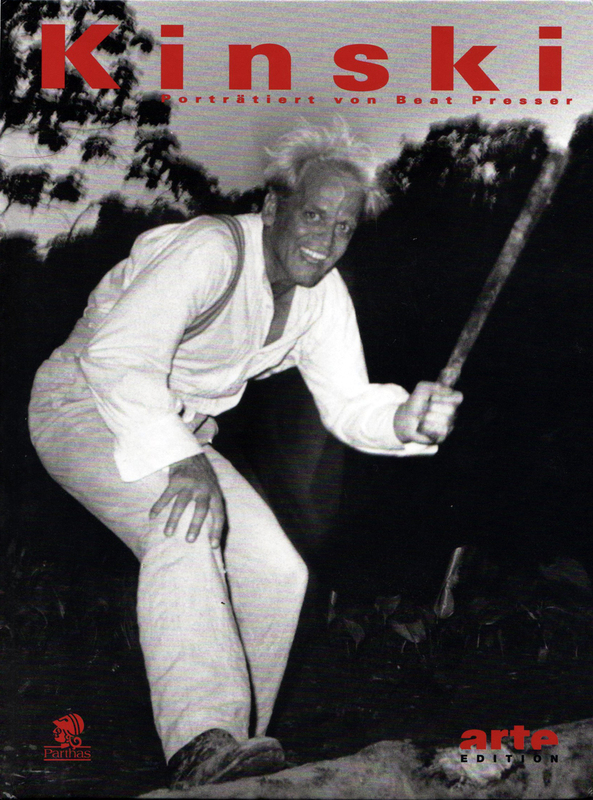 asked Peter Geyer where this footage came from and the reply provided further good news as this pretty much unknown footage of Klaus Kinski is from Austrian TV and will probably be made available on Kinski Talks 3 when it is finalised. Aside from this another Peter Geyer-Kinski work is also in progress and one to look out for – a Paganini book. This is still in progress and may not be available until October this year or later. 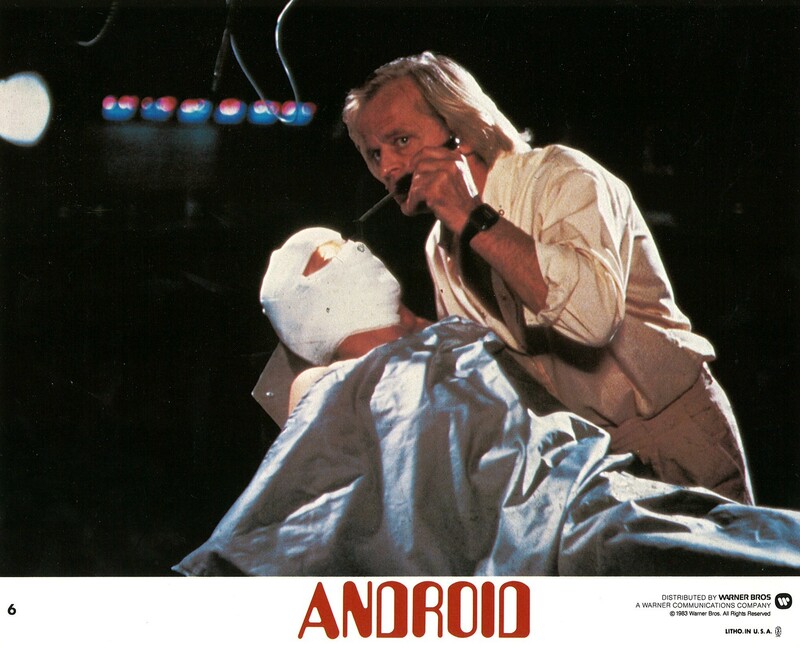 Peter Geyer said the following about this one: “Kinski couldn’t prevent nasty editings because of his premature death. Now the book will finally be released the way he wanted and with the combining photos of Gerard Rancinan, the photographer that gained all his trust in Kinski’s last decade.” It sounds like there is plenty in the Kinski pipeline, so I’d better start saving up my pennies now! General question to Kinski fans out there – is anyone planning anything for the 20 year anniversary of his death on 23 November 2011? I’m trying to think if there is anything that can be done in London – with limited resources, of course! I’ll keep you posted if I hear of anything myself but if anyone else knows of any special events happening worldwide, do send details through and I’ll make sure they get promoted on Du dumme Sau! This entry was posted in Other Kinski Stuff, Photos and tagged Aaron Lipstadt, Amadeo Romeo und Julia flyer, Android, Beat Presser, Beat Presser Kinski Exhibition, Fitzcarraldo, Hotel Doelen Amsterdam, Jerwood Makers Open, Jerwood Space, Keith Harrison Float, Kinski Arte Edition, Kinski Talks 3, Klaus Kinski, Lifespan, O A Krimmel, Paganini, Peter Geyer, Vermächtnis, Werner Herzog, Westpreußisches Landesmuseum. Bookmark the permalink. I vaguely recall in the little book that comes with Burden of Dreams that Les Blank was talking about Kinski, some Indians, & a soundwoman building an adobe oven & sinking a canoe in the process. Something about them being as gleeful as mental patients doing occupational therapy…lol. I don’t suppose there is any hope of the new book being in ENGLISH too? 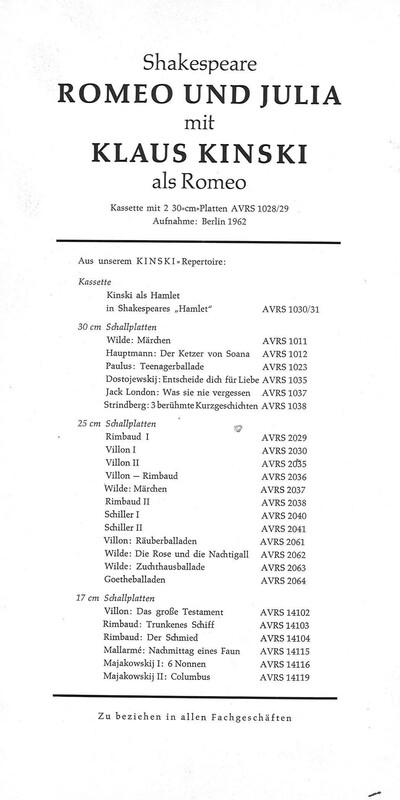 I think they are missing out on a big market for Kinski stuff only releasing things in German. I would buy all the books & DVDs if they were translated and/or subtitled. I see on the German Amazon site there is also a Kinski Paganini book that looks like it’s coming out in Sept 2011 also involving Mr. Geyer. Thanks for posting everything!